Breakfast was the hardest meal for me to turn into an enjoyable gluten-free experience. The majority of breakfasts that we eat contain gluten – toast, cereal, porridge – even those liquid Up & Go Breakfast drinks contain gluten! 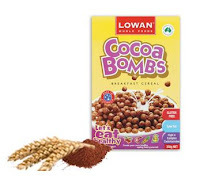 Below is a review of some of our favourite gluten-free cereals that are available in our local supermarket and how to enjoy eggs on gluten-free toast, which take no longer to prepare than the time it takes to cook your toast. Gluten-free cereals are expensive, so I recommend starting with one that can be used for something else if they fail the taste test. Corn flakes is a good one, because it can become honey joys for the kids or crushed and used as a coating for crumbed chicken. Following are the gluten-free corn flakes sold in my local supermarket. 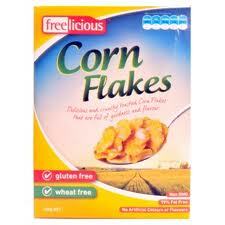 The nicest one I have tried is Freelicious Corn Flakes. They’re light, crispy and tasty (for a corn flake). They’re also non GMO, 99% fat free and contain no artificial colours or flavours. Unfortunately, they’re not an Australian product. They’re made in Denmark, which is an adopted Australian country since Mary married Prince Frederick. The second best corn flake is an Australian grown and Australian made product. 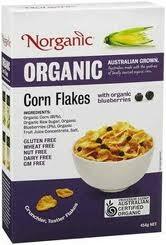 It’s Norganic Organic Corn Flakes with organic blueberries. Not as thin as Freelicious, but still thin enough to be enjoyable. I don’t find the blueberries that flavoursome and they have nothing to do with the reason it’s my second favourite gluten and wheat free corn flake. I add banana or raw honey to give it a bit of flavour. 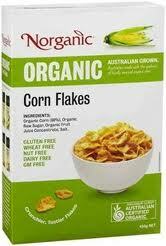 I could save money by buying my third preference, which is Norganic’s Organic Corn Flakes. Also made by Norganic with the same ingredients (minus the blueberries), which is why it puzzles me that the flakes are even thicker and harder. If the corn flakes were the same consistency as the blueberries corn flakes, this would be in number two spot. I can’t stand having to really crunch down on hard, thick corn flakes, so I stick with Freelicious Corn Flakes and add fruit for a bit of variety. 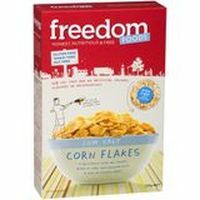 I have also tried Freedom Foods Corn Flakes, but these were even harder and thicker. The word ‘flakes’ begins to lose its meaning. 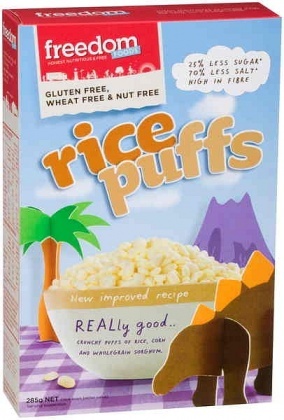 Another good, plain, gluten-free cereal is Freedom Foods Rice Puffs. Much like normal rice bubbles (Yes, normal rice bubbles contain gluten! ), but a little harder. These mix really well with some yoghurt and fruit. 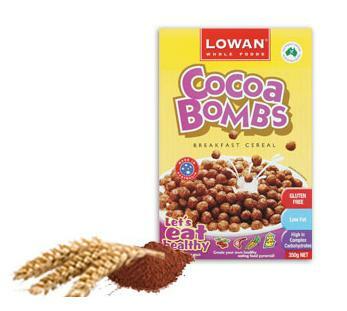 My kids love the idea of having Coco Pops and Fruit Loops, but I refuse to buy the rubbish sold in the cereal aisle. 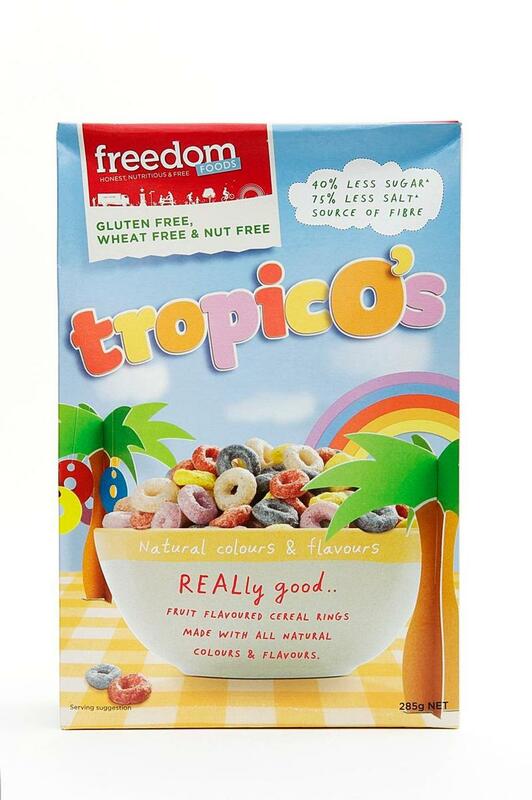 I have compromised by letting them have Freedom Foods Tropico’s (made with natural colours and flavourings) and Lowan's Cocoa Bombs. Although not my preferred choice of breakfast, both of these products have less sugar and salt than similar products and they’re gluten free. The only gluten-filled cereals in our pantry now are Weet-Bix and porridge oats. I have tried a few gluten-free mueslis but none of them have wowed me yet, so I’ve been experimenting with making my own. I’ll post more on my gluten-free homemade muesli at a later date, after I have perfected it. Fried eggs on toast as quick as toast! Invest in a small, cheap, non-stick pan like this one. 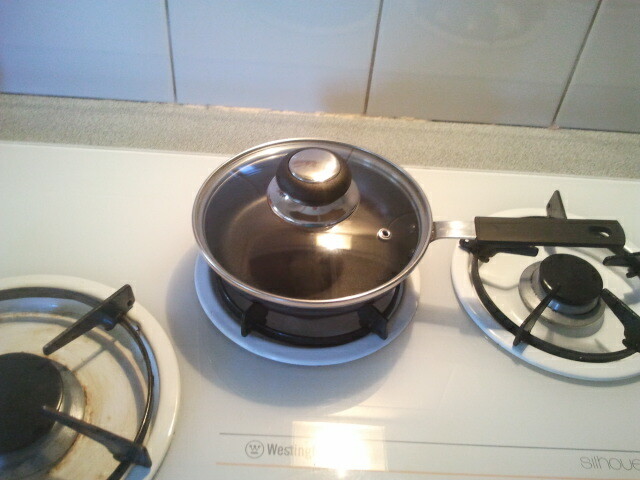 Don’t worry about getting one with a lid if you have a saucepan with a lid that is the same size or bigger. 2. 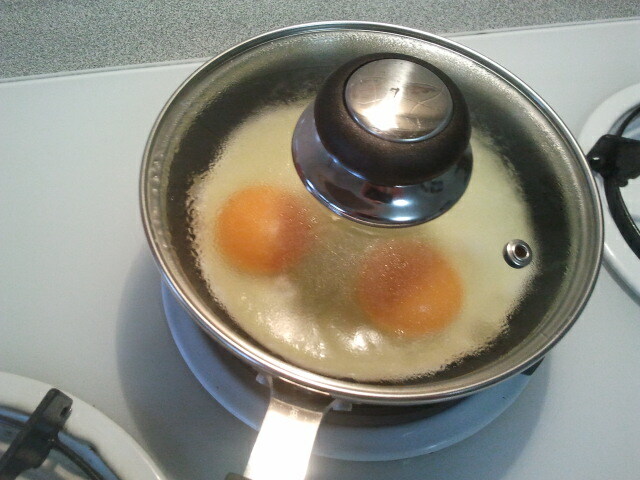 Break one or two eggs into a cup. 3. Push your gluten-free bread down in the toaster. 4. Tip your eggs into the pan, replace the lid and turn the heat to low. 5. When your bread pops, place it on a plate and butter it. Your eggs will be done at about the same time, if you like them runny and sunny-side up. 6. Place your cooked eggs atop your toast and enjoy. The cleaning up of one small pan and lid is also very quick. 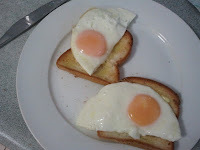 I sometimes add a slice of gluten-free ham to my toast before putting the egg on top. For those who prefer a fruit breakfast, but want a bit of extra protein, crack a raw egg into the blender when preparing a fruit smoothie. You can save time in smoothie preparation by chopping up fruit and snap freezing it ready. Watermelon is great for this. After snap freezing it into cubes, you can keep them in the freezer in a container or plastic bag ready to throw into the blender. No need to add ice! Whether you want a quick cereal, or something more exciting, a little forethought and preparation can ensure your gluten-free breakfast is still tasty, satisfying, healthy and quick.